The Painting :: This work comes about from my travels to St Petersburg, Russia. While there I spent many hours in the State Hermitage Museum where I was captivated not only by the paintings and space around me but also by the people and their engagement with the works and the museum environment. This group was gathered around a painting by Raphael, The Holy Family (Madonna with the beardless Joseph), 1505–06. It appeared to me that they were receiving a lecture about the work. 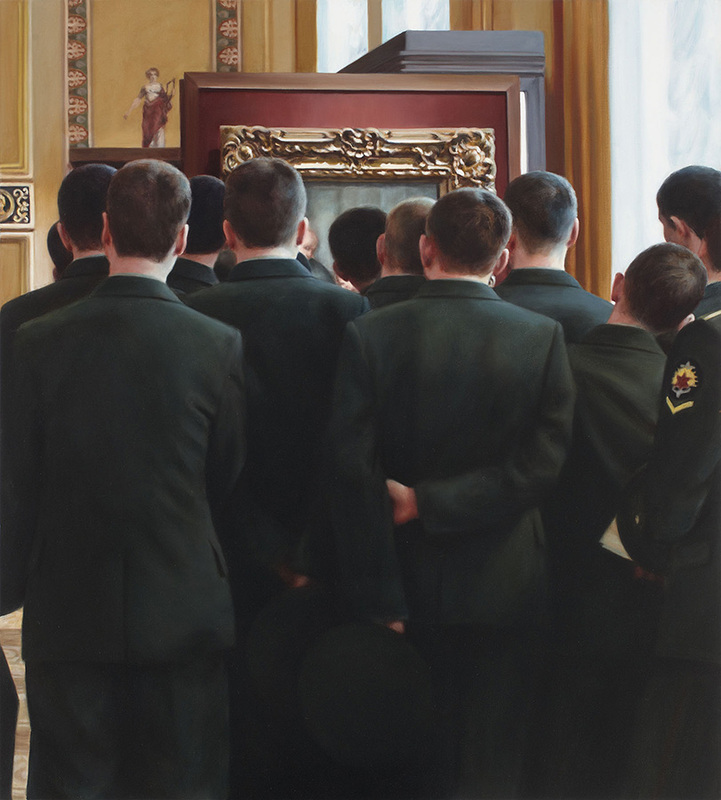 The scene fascinated me; a group of young men in military-style uniform studying this wonderfully gentle painting.